I could easily have spent all night in the Disney store as it is definitely one of my favourite shops, I didn't realise just how many items where in the sale so I spent a lot of time looking around. 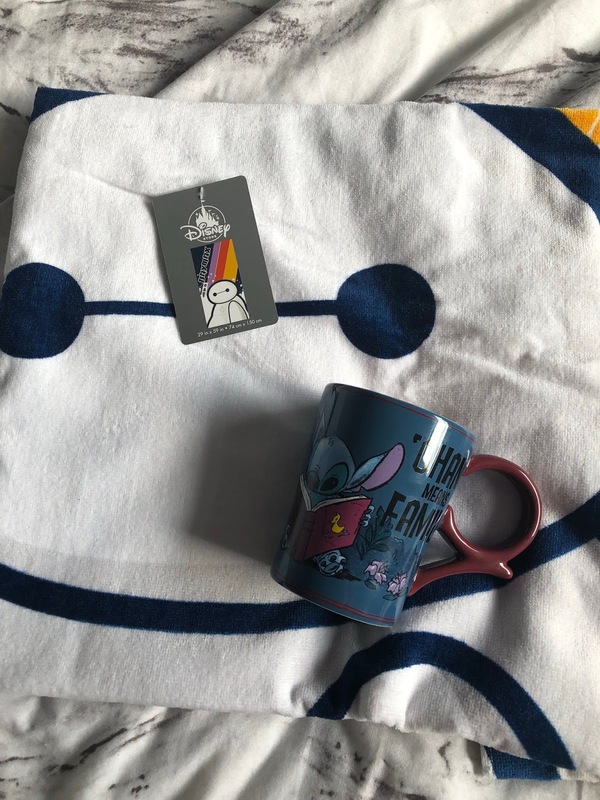 Liam spotted the super cute Stitch Ohana mug and said he wasn't leaving it behind as he knows it is one of my favourites, we have so many mugs and this one is just £10 in store. Then I managed to convince him getting the big Huey was a good idea, I have been asking for it for ages and he finally gave in this time around. Huey was £15 and is already super cuddly. I don't know what it is but I love Ducktales, I can't say it without singing the theme though. 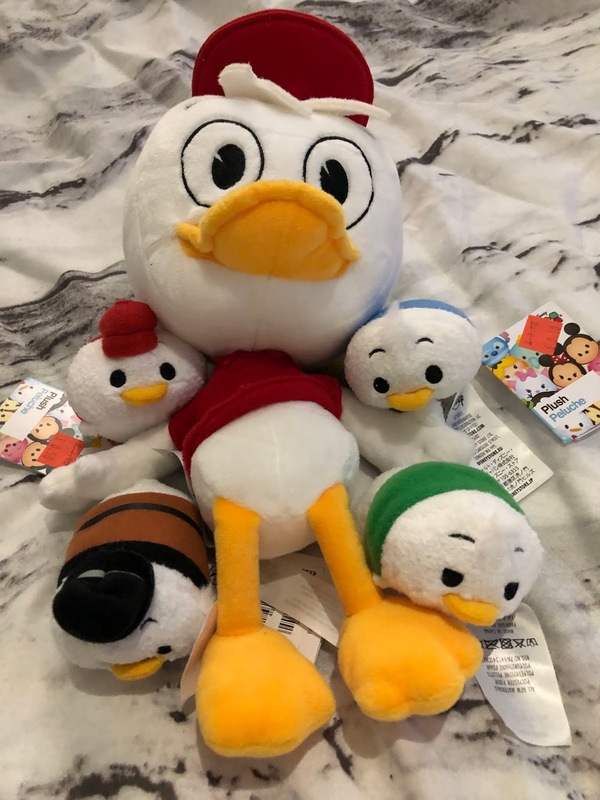 So when I saw the Tsum Tsums at 50p each Liam told me just to get Huey, Dewey and Louie but then I found Scrooge Mcduck and wasn't leaving him behind. 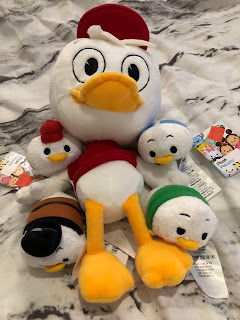 It is great as well as those 4 cost less than 1 full price Tsum Tsum. He also got me this super cute Baymax beach towel that cost just £7.99, I really hope we do get on holiday soon. Next up is the reason we went out in the first place, I wanted the Uncharted games as I have never played them before. Anyone who knows me knows just how much I love gaming, I even have a 2nd blog dedicated to it, so I had to add these to my collection. Now I just need to get my PS3 from my parents house. 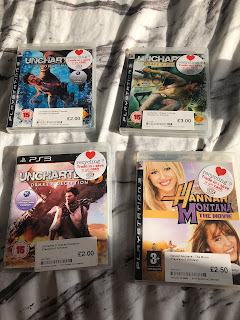 As I said I haven't played Uncharted games before so I picked up the first 3 for just £7 at CEX. 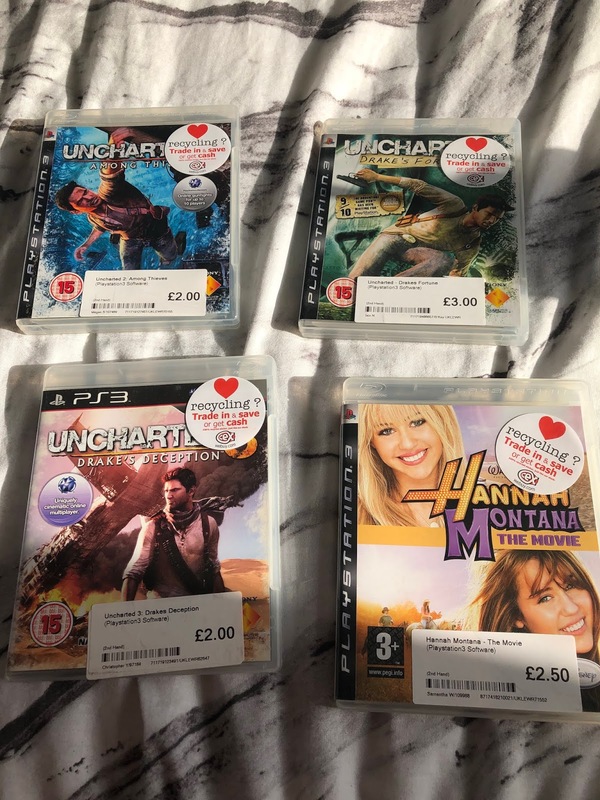 Then whilst I was looking at other games I came across Hannah Montana The Movie game, I used to love this game so at £2.50 I picked it up to go through again. Finally on Sunday in Halifax we nipped into JD Sports where Liam finally got some new Converse, he hates shopping and likes sticking to what he knows, so when he found a pair at £25 it took a little convincing but he finally purchased some, maybe his Nike's may finally be retired. 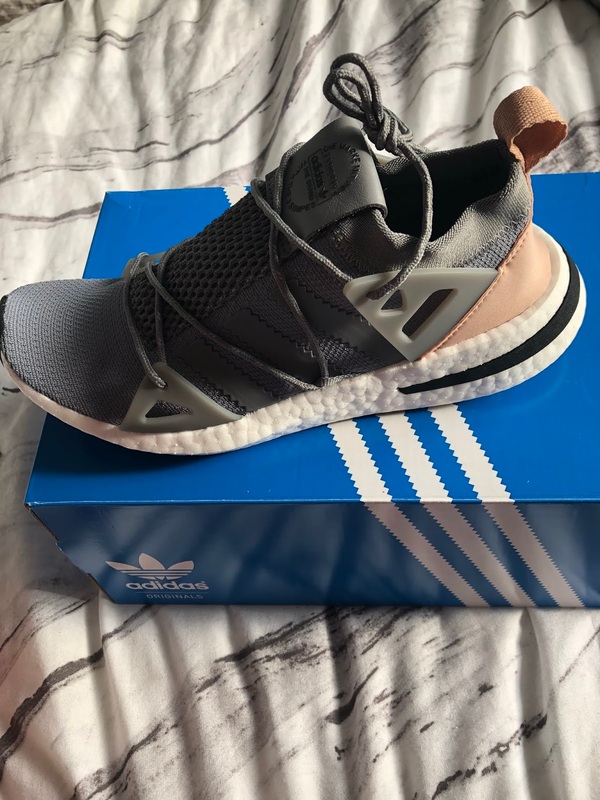 However, whilst he was waiting for his shoes to be brought out I went for a look around and fell in love with these Adidas Aykan trainers. I was never a fan of Adidas but they are killing it lately. These were reduced from £100 to just £55 and Liam very kindly offered to treat me to them after telling me I really didn't need another new pair. But I just love these ones I actually nearly bought these at full price instead of my Deerupt's a few months back. So there you go that is what I have picked up lately. Have you had any good pickups? Let me know.